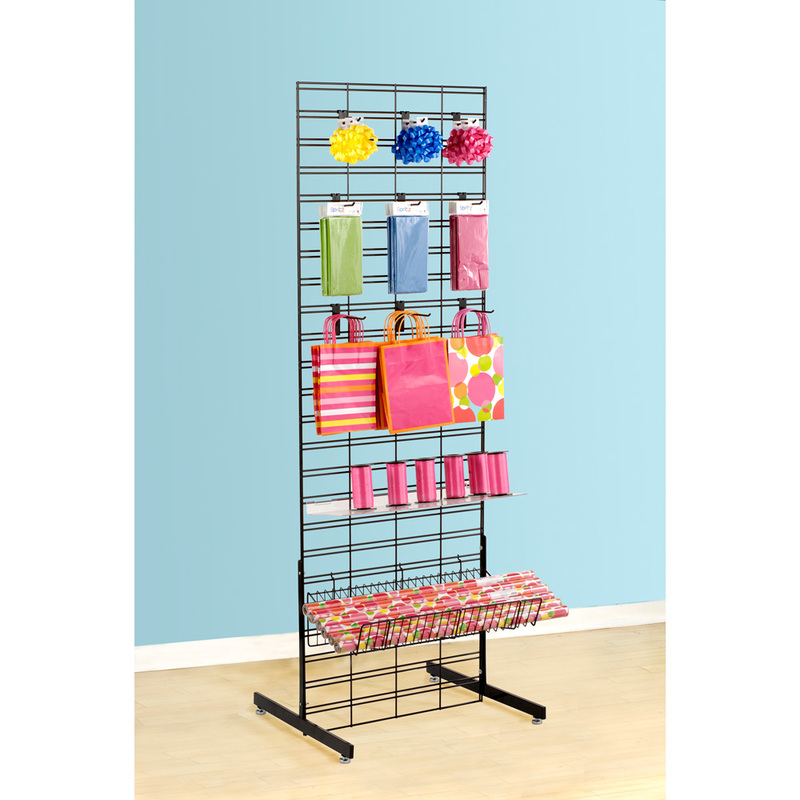 This Impulse display is great for displaying a wide variety of merchandise by just adding a variety of different accessories. 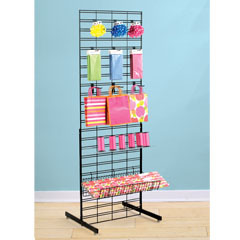 The display consists of 1 grid panel and a set of t-legs and will work with any Slatgrid or 3 in. grid accessories: Peg Hooks, Shelving, Brackets and more. Also can be used as a Single or Double Sided display. Available in White, Black or Chrome.